Home > Rosé	> Rosé! The weather fully turned around, and despite way too much rain (at least here in Connecticut), summer season has started. Which means we can start drinking Rosé, and feel good about it! In the US, Rosé had being a very interesting phenomenon. 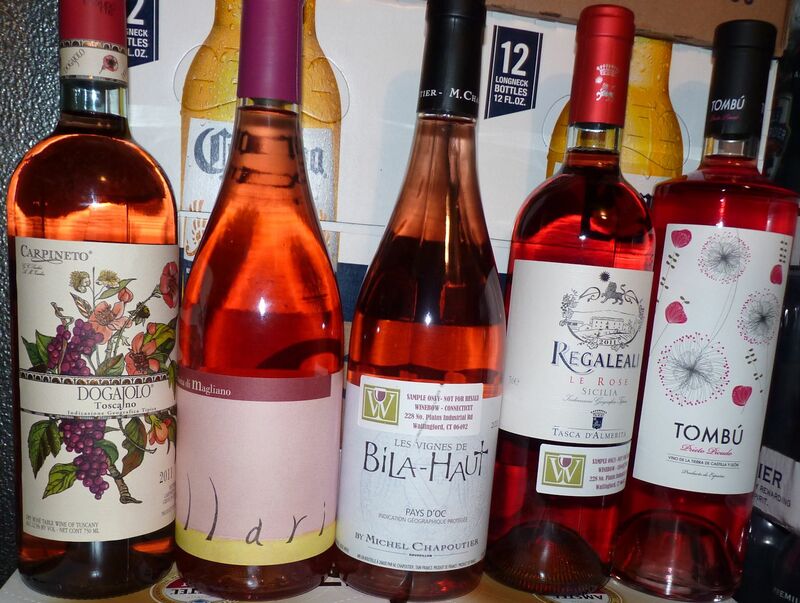 Even 6-7 years ago, it was pretty hard to find Rosé wine on the shelves of the wine stores. Tavel (one of the world most famous Rosé wines from the Rhone region in France) was practically the only Rosé you could find in the better wine stores. Mind you, I’m talking specifically about dry Rosé wines, not White Zinfandel or any other sweet concoctions. I guess many years of the pink colored plonk trained US wine consumers that you can not expect anything good from the pink-colored liquid, therefore stores had no incentive to offer Rosé. Little by little, situation changed, and now you can see lots of different Rosé coming from all over the world, made out of every possible grape and occupying more and more shelf space at the wine stores. What I like about Rosé wine is that it combines light and refreshing qualities of the white wine with the fruit and structure of the red, making Rosé a perfect complement to anything you do and anything you eat on a hot summer day. Don’t get me wrong – personally, I’m happy to drink Rosé at any time of the year, but somehow it has a notion of being ”summer wine”. I remember being in France in November of 2006, and when I asked for the Anjou Rosé offered on the restaurant wine list, my French companion said with the expression of disapproval on his face ”but you only supposed to drink Rosé during summer?!”. I’m very happy that summer is here and glass of Rosé is officially appropriate. Couple of days ago, I had an opportunity to taste 8 different Rosé wines which my friend Zak was considering for his store – and I’m glad to share my tasting notes with you. 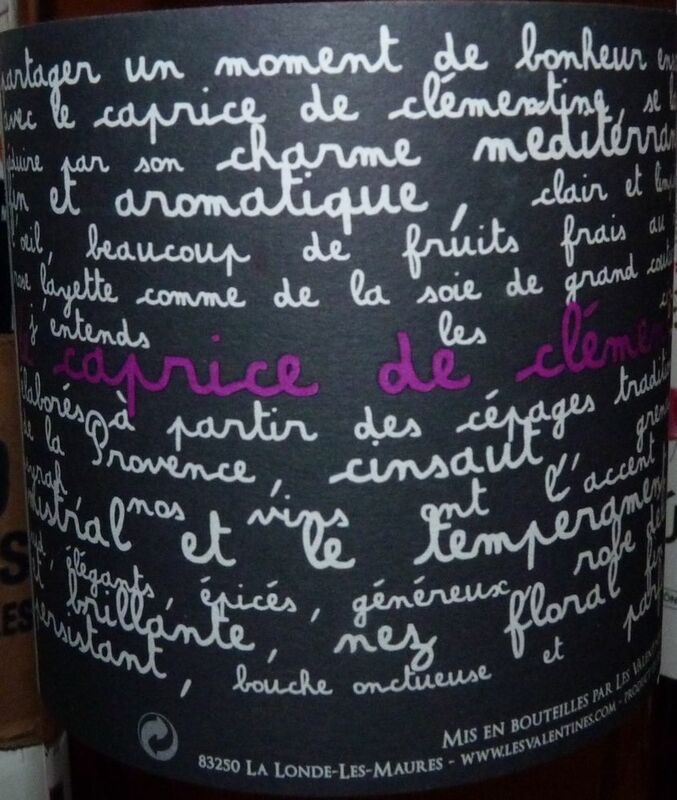 2011 Chateau Les VaValentines Le Caprice de Clementine Rosé, Cotes de Provence – second wine from the Provence. This one is a blend of Cinsault and Grenache. 2011 M. Chapoutier Les Vignes de Bila-Haut, Cotes de Languedoc (13.5% ABV) – yet another wine from France, this time it is from the area called Languedoc. 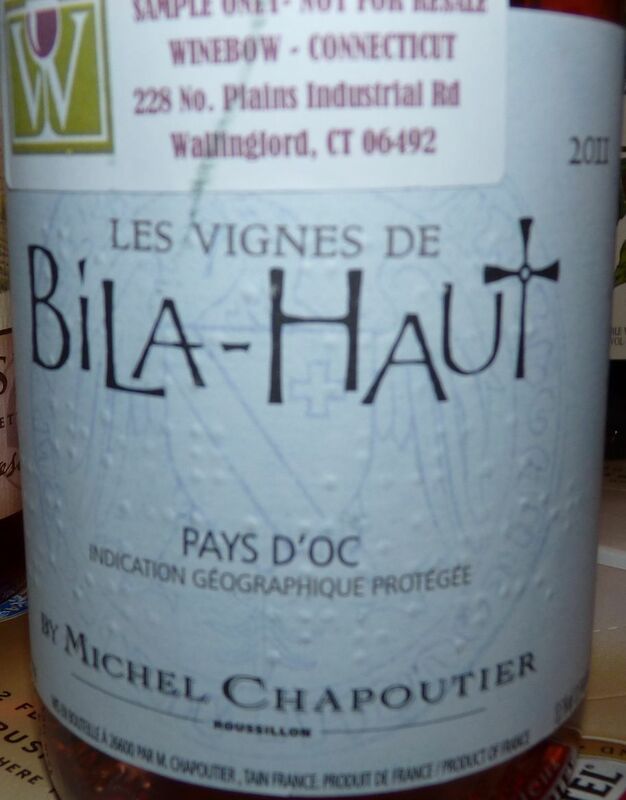 Bila-Haut wines are made by M. Chapoutier, a very respected producer. I had some Bila-Haut reds in the past, and they were very good, so I was definitely interested to see how Bila-Haut Rosé woud fare. This wine is yet again a blend of Grenache and Cinsault. 2011 Carpineto Dogajolo Toscano IGT (12.5% ABV) – Carpineto produces Super Tuscan wines, made out of Sangiovese with the addition of Cabernet Sauvignon and other grapes. After being pressed and left in the contact with the skins for the short time, this wine was fermented in the stainless steel tanks and bottled in January. 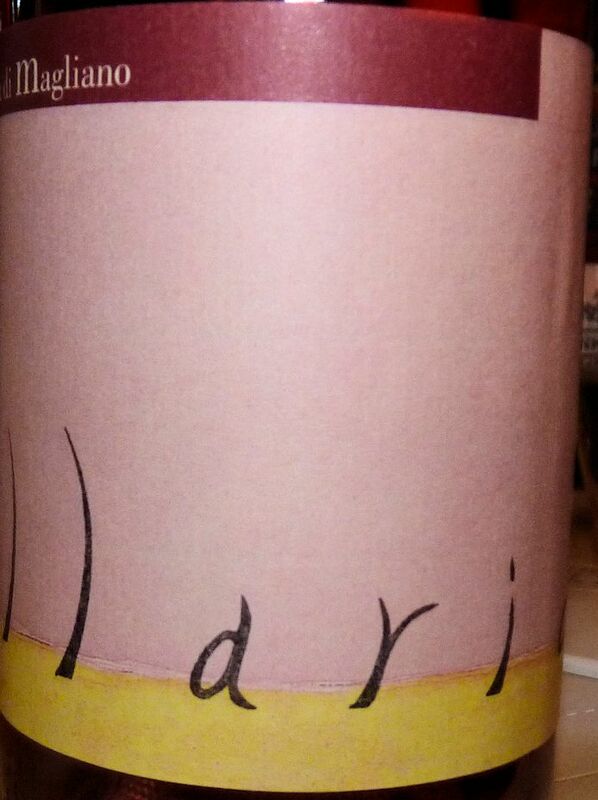 Solid pink color, this wine showed some good fruit, but was somewhat lacking the acidity. Drinkability: 7-. 2011 Tasca d’Almerita Regaleali Le Rose Sicilia IGT (12.5 ABV) – another Italian wine, this time from Sicily. 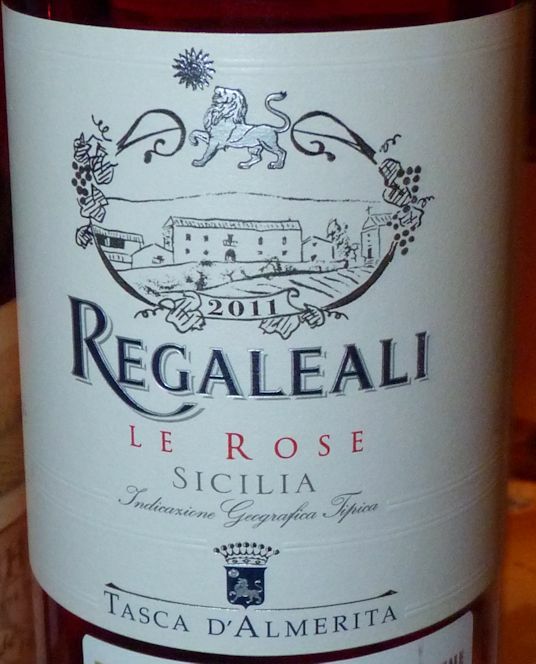 The name of the wine comes from thousands of roses which had being brought from all over the world and are happily growing at the Regaleali estate. The wine is made out of 100% Nerello Mascalese, an indigenous Italian variety growing primarily in Sicily. The wine showed beautiful strawberries and cranberries both on the nose and on the palate. Overall, wine had very good body and great balance. Drinkability : 7+. 2011 Fattoria di Magliano Illario Rosato, Maremma Toscana IGT (13% ABV) – One more Rosé from Italy, again from Tuscany. This wine actually comes from Maremma region which is famous for its Super-Tuscan wines. This wine is produced by Fattoria di Magliano out of 100% Sangiovese grape. 2011 Tombu Rose Castilla y Leon, Spain (13.5% ABV) – Something different – this wine comes from Spain, from the Castilla y Leon region, and it is made out of indigenous grape called Prieto Picudo. 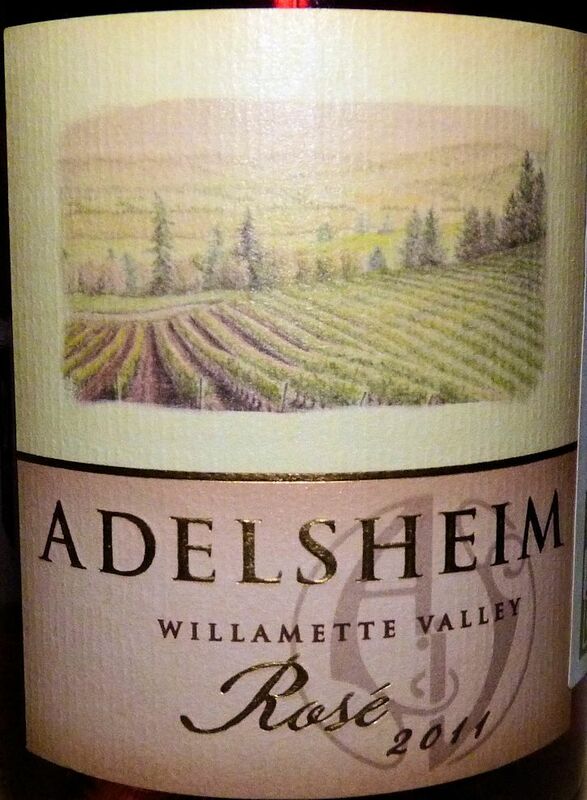 2011 Adelsheim Pinot Noir Rosé, Willamette Valley, Oregon (13.4% ABV) – Last but not least, this Rosé comes from Oregon, and as you would rightfully expect it is made out of 100% Pinot Noir which was sourced from 6 different vineyards in the region. I don’t know what you think of Rosé wines, but I can’t stress their greatness enough. If you were ignoring them until now, it’s time to change. If you had being a fan all along, I will be glad to learn about your favorites! Whatever you do, don’t let summer heat get to you – protect yourself with some Rosé in your glass! Cheers! What a coincidence. I am writing up my first Rosato commentary as you posted this. The Tombu from Spain sounds great. I will look for it. I have a general rule about not drinking wine (or coffee) I can see through. But after reading this, I’m curious. You should definitely give it a try, and let me know how you will like it! I must try that 100% Sangiovese one. Thanks for the recommendations. And don’t let wine snobs put you off drinking rose any time of year you feel like it! Thank you for the comment! Rose are great wines, and as an added bonus, very reasonably priced so it is easy to experiment and find something you like.